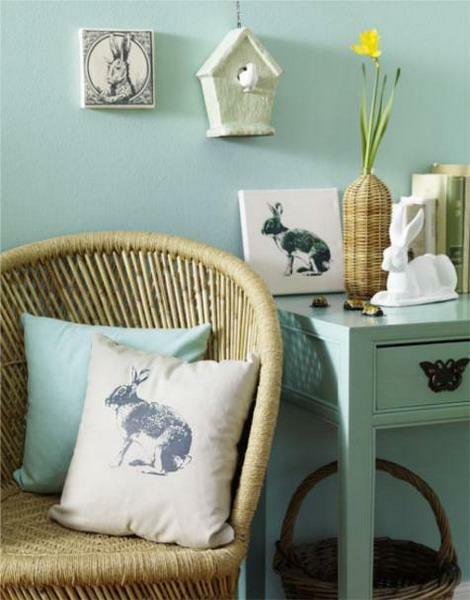 Easter decorations, like Easter Bunnies, nests and birds, welcome spring into your home. 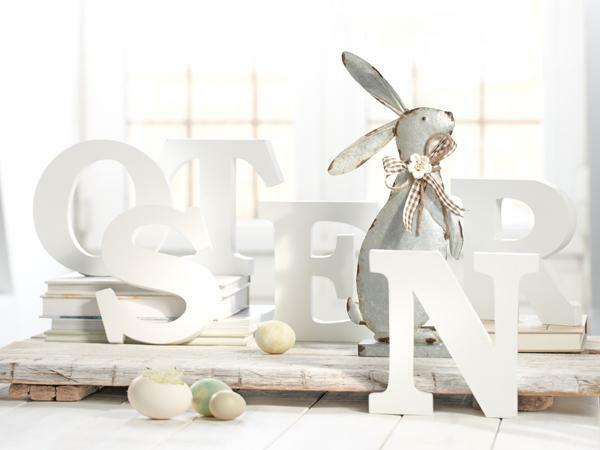 Meaningful and charming crafts and figurines are simple, happy and remarkable ideas Easter decorating. 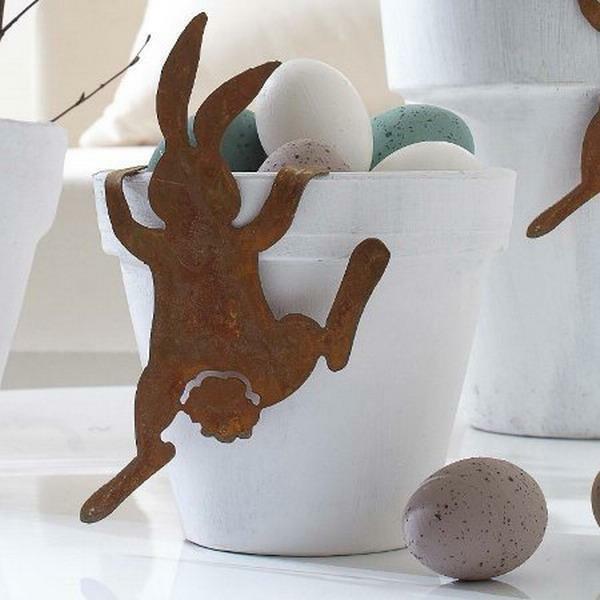 Lushome present 20 cute Easter Bunny decorations and shares a collection of very attractive, simple and creative Easter decorating ideas for your spring home. 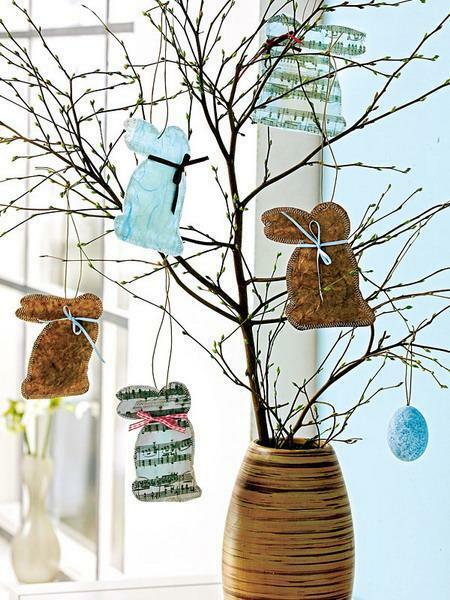 Handmade Easter decorations, Easter Bunny chocolate treats and figurines are easy ideas for Easter decorating. 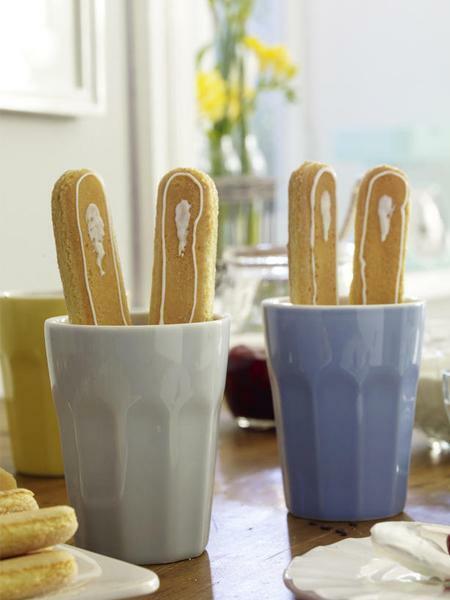 Made of wood, paper, metal wire crafts are not complicated. 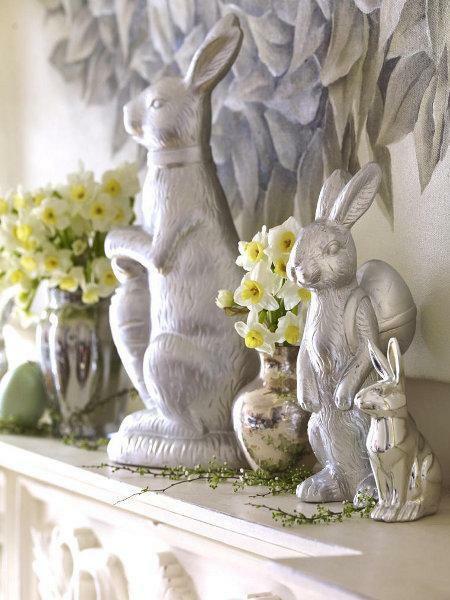 Porcelain or wood figurines are simply beautiful, offering great spring holiday decorations for fireplace mantels, tables, stairs and wall shelves. 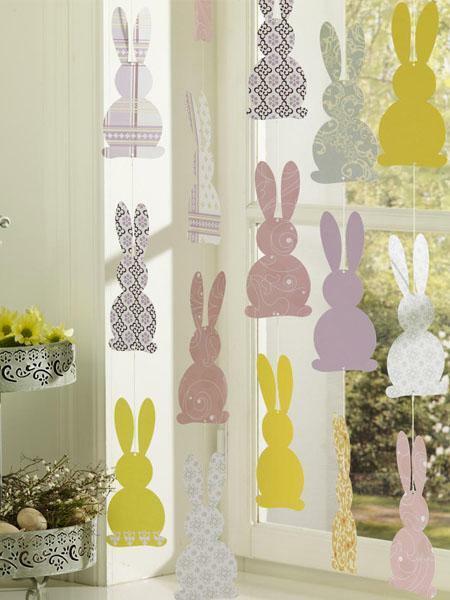 Bunny-shaped paper crafts, lights, garlands and appliques give wonderful touches to spring decorating and add meaningful accents to Easter decorating. 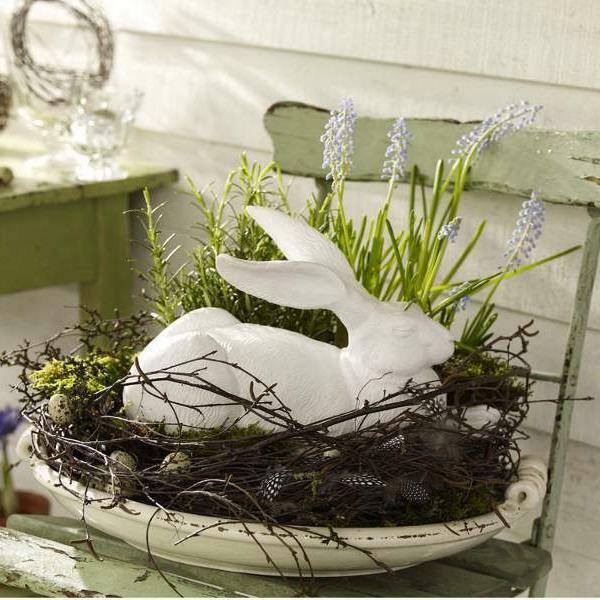 Easter Bunny decorations, recycling paper, plastic, metal wire, felt fabrics, old napkins or salvaged wood pieces, can spruce up your home decor and create fabulous table centerpieces. 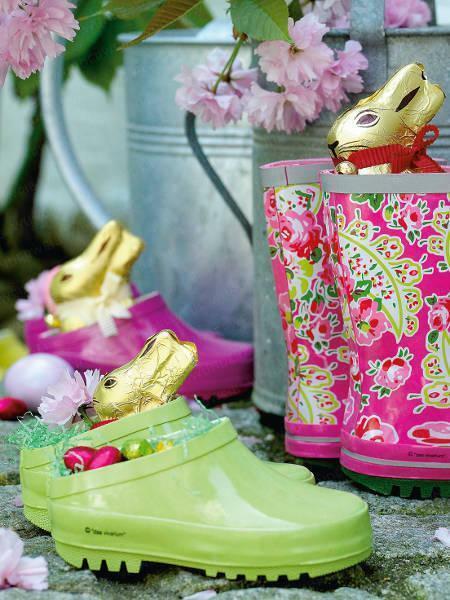 Easter decorations, especially Easter Bunnies, make things festive and playful. 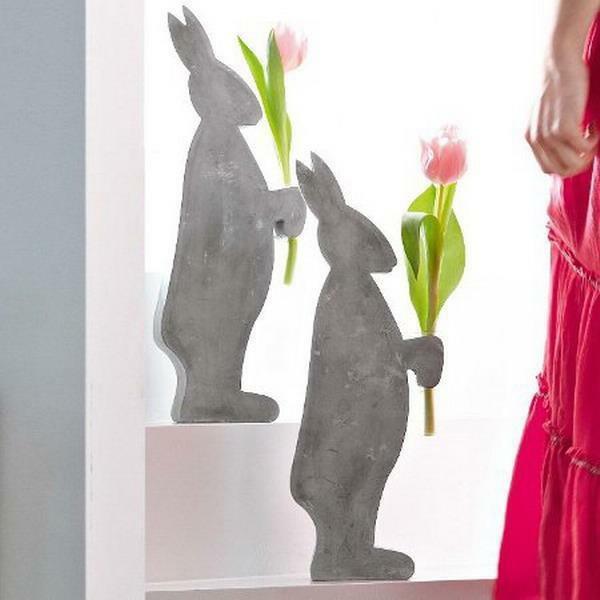 Try one or all of these charming Easter decor ideas to make your home and spring party table decoration look lovely, interesting and beautiful. 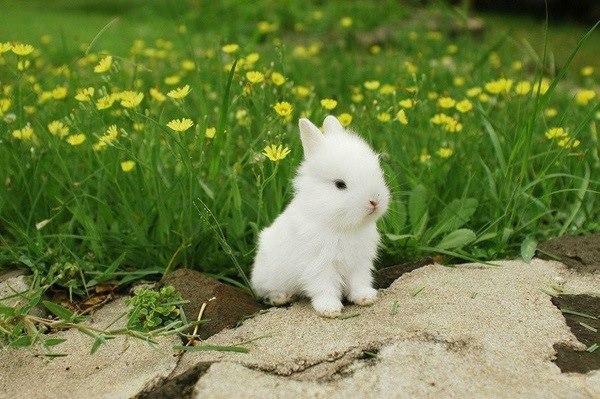 Easter Bunny decorations look great with spring flowers and fruits. 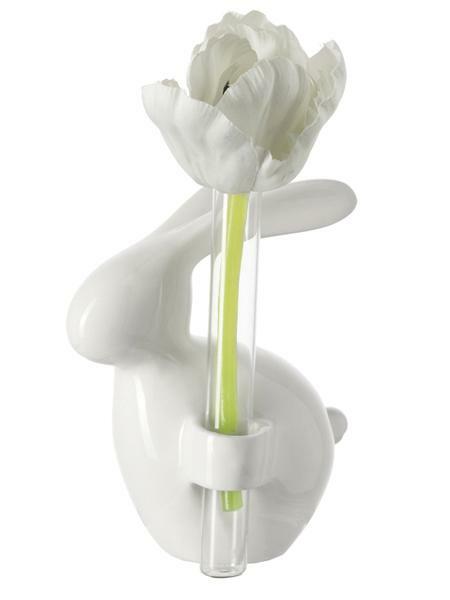 Brightly painted or in classy white colors, Easter Bunny figurines are perfect for table centerpieces, window or staircase decorating. 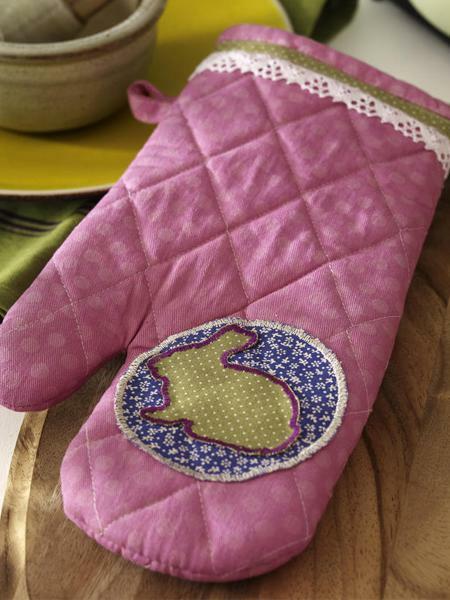 Paper crafts, fabric appliques and painted designs create attractive combinations with Easter linens, kitchen towels and decorative pillows. 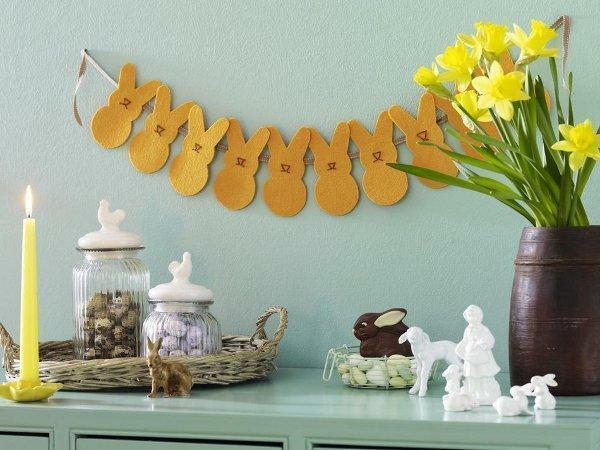 Paper crafts, like Easter Bunny garlands or hanging decorations, are incredibly simple ways to add a personal touch to Easter decorating. 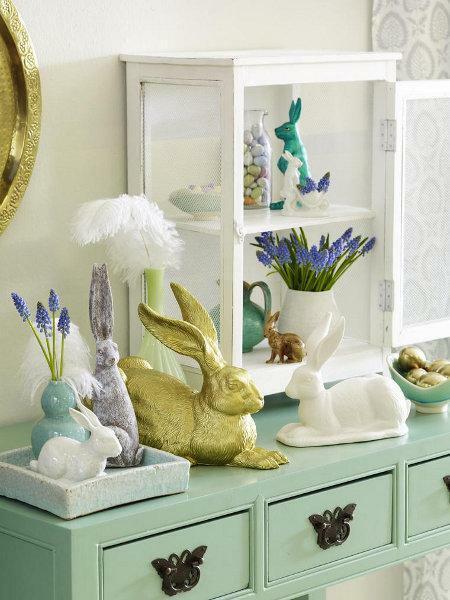 Porcelain figurines, Bunny-shaped chocolate candies and cookies quickly add the beautiful Easter theme to your spring decorating ideas. 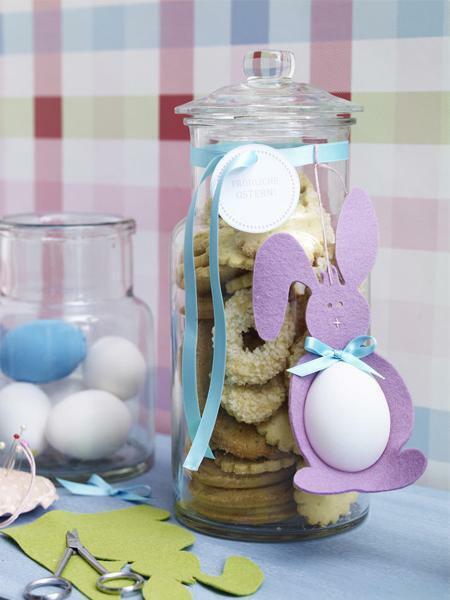 Easter Bunny paper crafts and colorful ribbons can decorate straw wreaths with evergreen branches. 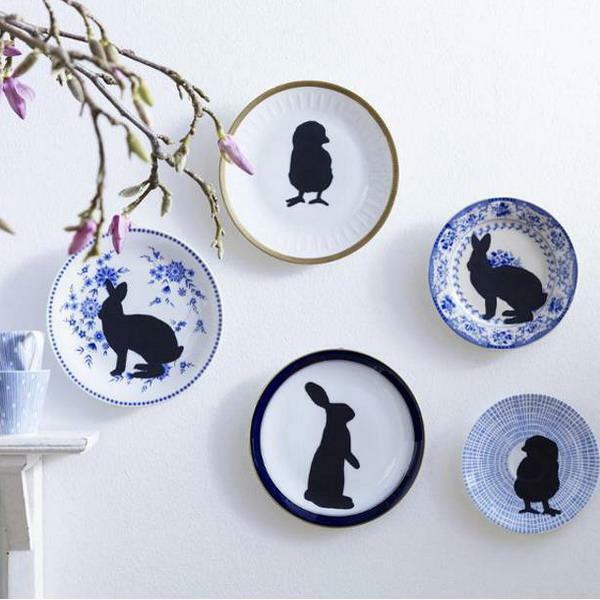 String several Easter Bunny decorations together end to end and shape into a circle for a homemade wreath or create wall garlands with recycling paper, unique and charming handmade Easter decorations. 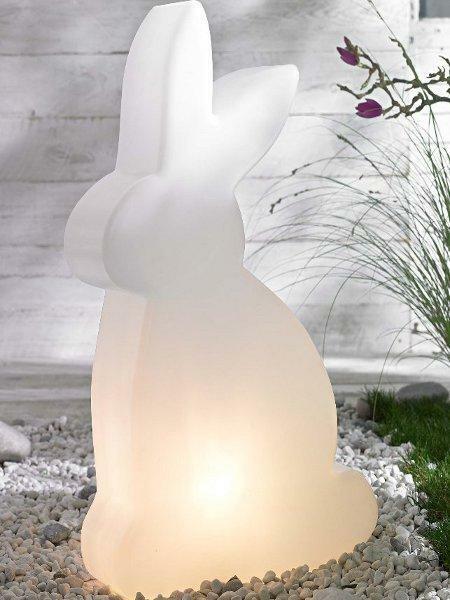 Easter Bunny lights and candles are wonderful Easter decorating ideas also. 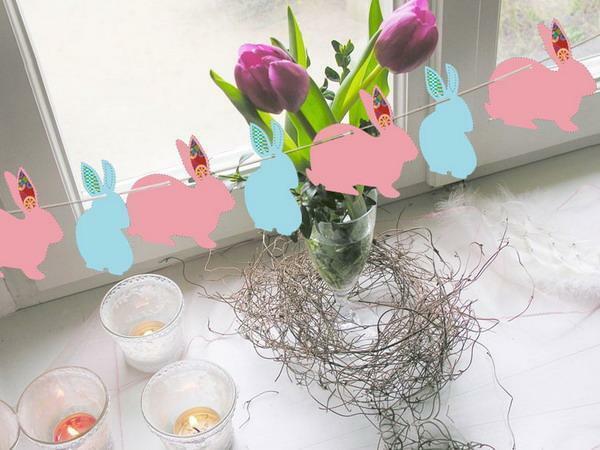 Turn plain pillar or taper candles into simple Easter decorations by adding Easter Bunnies. 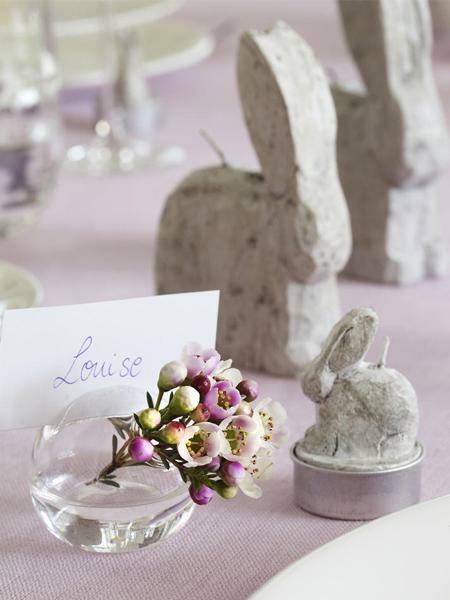 These simple and quick Easter decorating ideas are sure to make your home and party table sparkle with freshness and creative designs. 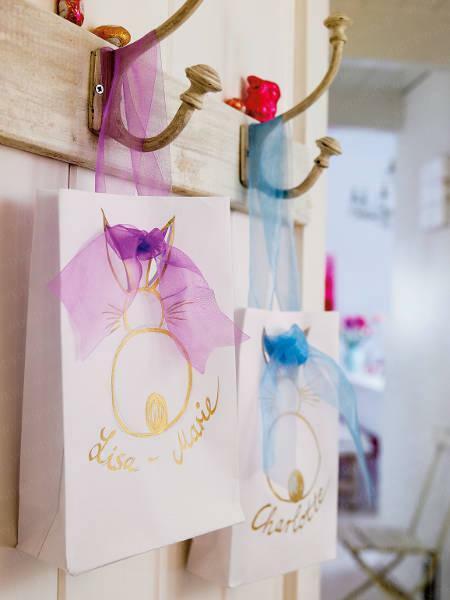 Recycling paper, plastic, wood, fabrics or metal wire for handmade Easter decorations invite playful Easter Bunnies and bring Easter spirit into your home.